When it comes to finding the perfect holiday gift idea for the travel addict in your life, are you at a loss? Often times, travel freaks like myself tend to live their life through experiences rather than things, so we can be seriously difficult to buy for. However, there are some items that make travel undeniably easier, and that is what I am here to bring you! I love that Cabin Zero bags are designed to look more like luggage, and are some of the most lightweight and durable in the land. They have thick shoulder straps, and for being quite large, also fit into the overhead bin! SCORE! (the one pictured is a 44 L). Two more great features are lockable zippers, and a built-in global tracker, powered by Okoban. This means if you, or the airport loses your bag, you can find it anywhere in the world! How cool is that? The cherry on top? Cabin Zero backpacks come with a really long warranty. Some of them are 25 years! BONUS: If you end up buying one, use code CZFUNGRLTRAVELS for a 10% discount! I cannot tell you how many times I have been in a hotel somewhere wishing I had a better wifi connection, just like when I was in Peru this past year! I can guarantee you your travel fiend has wanted a gift like this for a long time! The Netgear Wifi extender is the answer to your horrible connection prayers! The Demi Hugger Travel Strap is a travel accessory that is bound to make travel easier for anyone who is a frequent globetrotter. It straps to the tops of your suitcase to allow you to carry any additional items. Imagine being able to throw your laptop bag on top of your luggage and scoot right along at the airport without fumbling around! As someone who struggles with clumsiness, I have tested it and cannot wait to use it on my upcoming trip to Costa Rica! As someone who struggles with clumsiness, I could have used this before my adventure in Tulum. I have tested it and cannot wait to use it on my upcoming trip to Costa Rica! When you are thinking about gifts for that special travel junkie in your life, don’t forget to consider the most important factor: safety and protection! The SHOLDIT convertible infinity scarf with hidden pockets is the new and improved way to keep your valuables safe from thieves. Fanny packs TRIED to make a comeback, but that was short lived. Money belts are kind of out of date as well. But hey, if you want to rock a fanny pack or a money belt, get down with your bad self and own it. Who cares as long as it works right? RELATED: If safety is your concern, check out my page on travel tips for female solo travel. Men, I know you will likely be a hero and save the day if an attacker persists, but perhaps you could read them as well?! TRUST ME when I say that when you travel often, this is a NECESSITY! I can’t tell you how many times I’ve been at the airport to find hardly any outlets and an external charger has saved my life. Even some of the US airports lack outlets! What is the deal with this? At any rate, buying this particular Anker Powercore 10000 external battery charger is a lifesaver! I’ll be honest. I haven’t purchased any cubes yet, but they are on my list of things to purchase and test out. These eBags packing cubes are a stellar deal and have good ratings. I’m still using the old tried and true roll up the clothes method, but if I go on a journey longer than 2 weeks these are going to be purchased! 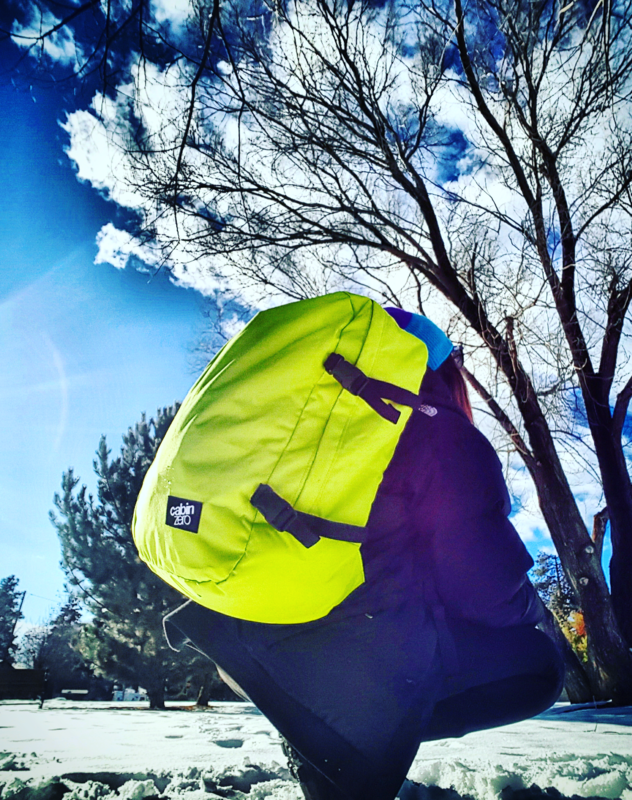 This Lowepro Flipside DSLR camera backpack is AWESOME! It was designed to prevent theft while carrying it, is extremely well built, and can hold a variety of photography equipment and accessories for the photographer enthusiast on the go. Bonus: It doesn’t LOOK like a camera bag so it wards off thieves. Ok, confession. This isn’t a mega hot deal, but it is MY preferred backpack for a short weekend trip! Plus, it’s hydropack compatible. Grab yourself a bladder from Camelpak and you are set! I used this pack on my trip to Peru, in addition to a bigger 60 L Black Diamond pack, and it worked out perfectly. In search of the best overhead luggage in all of the land?! Well this Samsonite Spinner won’t get banged around too easily, and it’s scratch resistant and lightweight! Hey, if it’s good enough for Adventurous Kate, (a prolific travel blogger) it should be good enough for you. 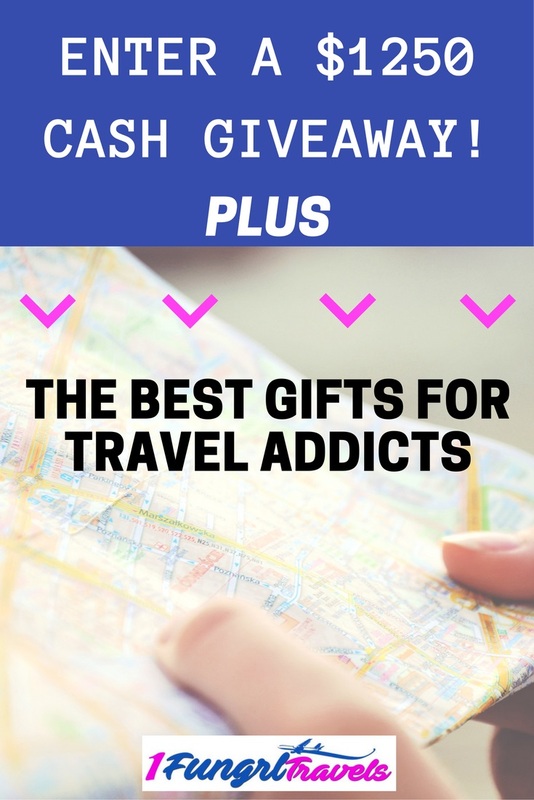 So if you’re having trouble hunting down the best gift ideas for the travel addict in your life, these may help you. Or you could, you know, just make a memory with them instead. Take a walk, discuss a book, go see a funny movie, or make a movie yourselves. Get creative! Experiences will always win their heart over things. RELATED: IF THIS INFORMATION INTRIGUEs YOU, DON’T FORGET TO CHECK OUT MY ABOUT ME PAGE TO FIND OUT WHERE I GOT MY ZEST FOR TRAVEL OR SEE MY LEARN HOW TO BLOG PAGE IF YOU’RE INTERESTED IN STARTING YOUR OWN BLOG! 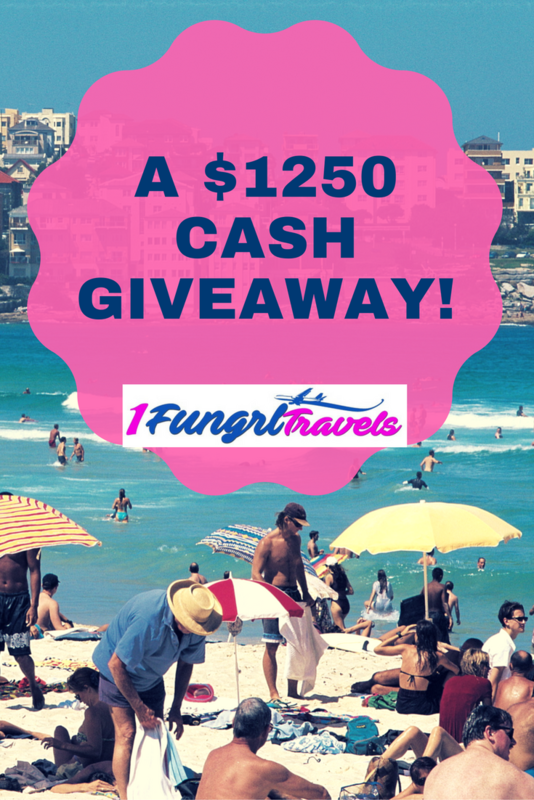 This is such a great post AND giveaway!! That Samsonite luggage has been my fave this year!! What a great giveaway! Thanks for sharing this! For the people who are traveling for the first time a scratch map can be a perfect gift for the travel addict.